There were a Total of 23 Residential Home Sales in Carleton heights in 2018 and the Average Price was $454,020, that is a decrease of 3.5% over 2017. Highest and Lowest Priced sales in Carleton Heights? The Three least expensive sales were all Condo Row Unit's that were on Appleby Private and Georgian Private, all had 3 bedrooms and they sold for between $248,000 and $259,750. The Three most expensive sales were all detached houses, One Bungalow and Two 2 Storey, with between 3 and 5 bedrooms. These were on Prince of Wales Drive, Valmarie and Apeldoorn Avenue, they sold for between $770,000 and $1,055,000. How long do homes take to sell in Carleton Heights? Homes sales in Carleton Heights too between 1 and 354 days. The average time to sell a home in 2018 was 69 days. 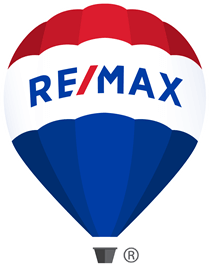 Seller's in Carleton Heights got 96.01% of their list price, on average in 2018.